Clay Shaw was the only man prosecuted for the assassination of JFK. His associate on the Board of MOSSAD front “Permindex” was Louis Bloomfield, a longtime Rothschild errand boy. Right now the big push is to pin the blame on former Vice President Lyndon Johnson. The “LBJ Killed JFK” theme is rampant, even in the self-styled “alternative” media. 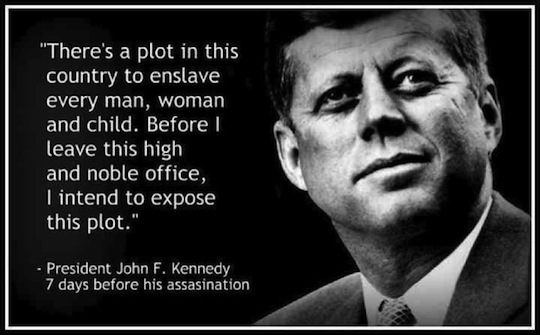 However, AMERICAN FREE PRESS is pleased to be the first publication ever to report on the findings of Maurice Phillipps–an otherwise unheralded researcher –who uncovered the Rothschild banking dynasty connection to a key player linked to the JFK conspiracy. Here’s the story, one which should force JFK researchers–at least the honest ones–to take a whole new look at the death of the president.